The document below contains the history of the 418th NFS, the first squadron to be deployed in the Pacific. Special thanks to Kevin Reeder for providing. 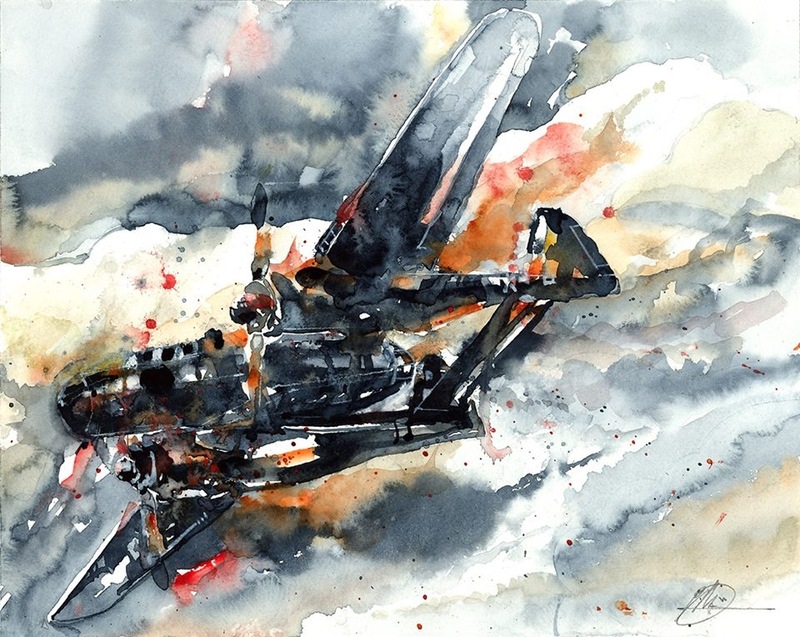 Kevin Reeder was given this abstract painting of Henry Lee Gurley’s plane, a P-61B-15 NO 42-39591 , in combat from his daughter for Father’s Day . The painting was done by artist Moh Billbeisi. We thought is was so spectacular that we added it to the 418th page for everyone to see.